Piano sheet music for the Daredevil theme song. 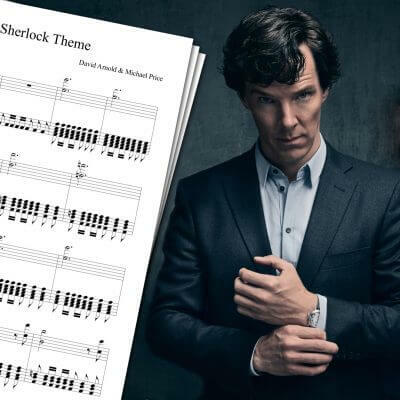 I really love this sheet music! 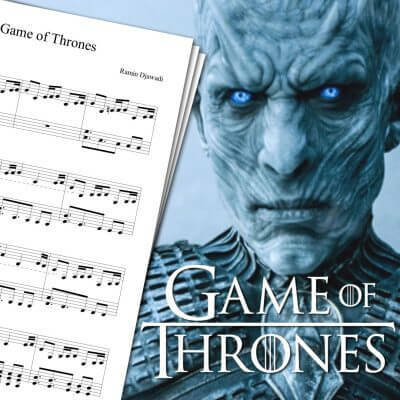 It’s really easy to read your transcription, and I’ve been able to play this version for some fans of the show and they really like it 🙂 Thanks! 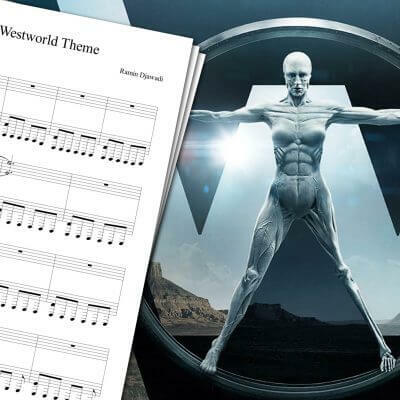 Nice sheet music! Easy to read, and fun to play. It’s an elegant version without overcomplicating the theme. On this page you can download the Daredevil theme sheet music based on my piano cover of the opening theme. Daredevil’s main theme was composed by John Paesano, and can be heard during the show’s opening. The opening theme remained the same for all of Daredevil’s seasons. Daredevil’s opening theme is my favorite theme of all the recent Marvel television series, Jessica Jones’ opening being second. The song itself it fairly easy, and beginners shouldn’t have too much trouble playing it! 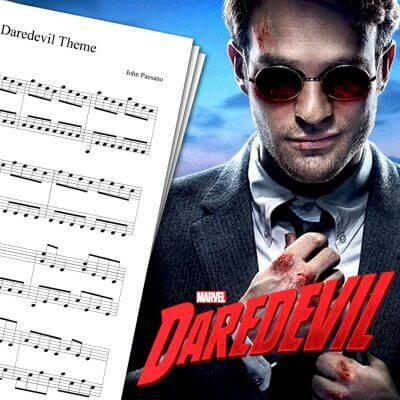 For more sheet music like the Daredevil theme sheet music, you can check the main piano sheet music page. 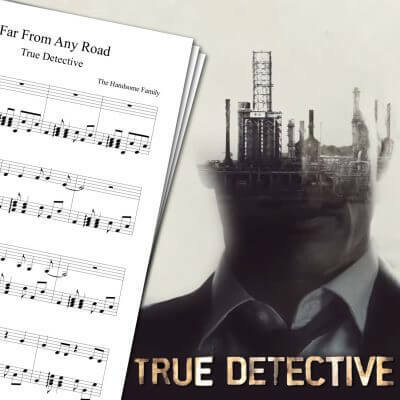 You can find various TV series themes, among other things, like the True Detective Theme Sheet Music, Fringe Theme Sheet Music, Malcolm in the Middle Theme Sheet Music, and many more. Released on April 2015 on Netflix, Marvel’s Daredevil is a television series based on the Marvel comics. Marvel’s Daredevil series is about Matt Murdock, blind lawyer during the day, and hero/vigilante fighting the crime at night. The first season sees Wilson Fisk as the villain, who quickly became one of my favorite bad guys!